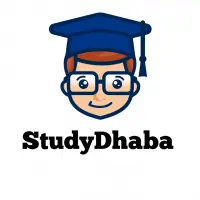 UPPCS Geography Notes Hindi Pdf Download -UPPSC Notes – Hello friends Welcome to studydhaba.com . Here We are sharing UP PCS Geography Notes for upcoming Exams . To Download This File From Download Button given below. This study material are in Hindi and is useful for Students who are preparing for civil services exam.Hindi medium students can download these notes for IAS prelims and mains .These will cover geography parts of General studies 1 and prelims .Download these ias notes in Hindi .